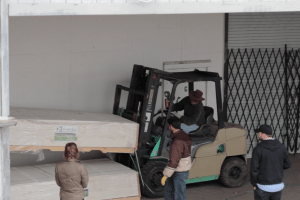 We received our first shipment of the Haven’s exterior wall paneling, a new top of the line product called magnesium oxide board (MgO) from the leading US company Jet-Products. Two more counties in Nevada are now added to the list of local building departments embracing MgO board to be used as exterior sheeting, thanks to Envirohaven’s interest in the material. Envirohaven worked with Cole Kruegar at Jet-Products as well as the county building officials to be sure that the product met their high standards. The consensus was that it not only met their high standards, but provides added benefits not seen in traditional paneling. Now, any builder in the area interested in an alternative to traditional OSB paneling for home sheeting can consider MgO products. Envirohaven has decided to incorporate this innovative material in our design for several reasons: superior structural strength, superior ratings in flame, water and mold resistance, insect resistance, and its environmentally sustainable status. 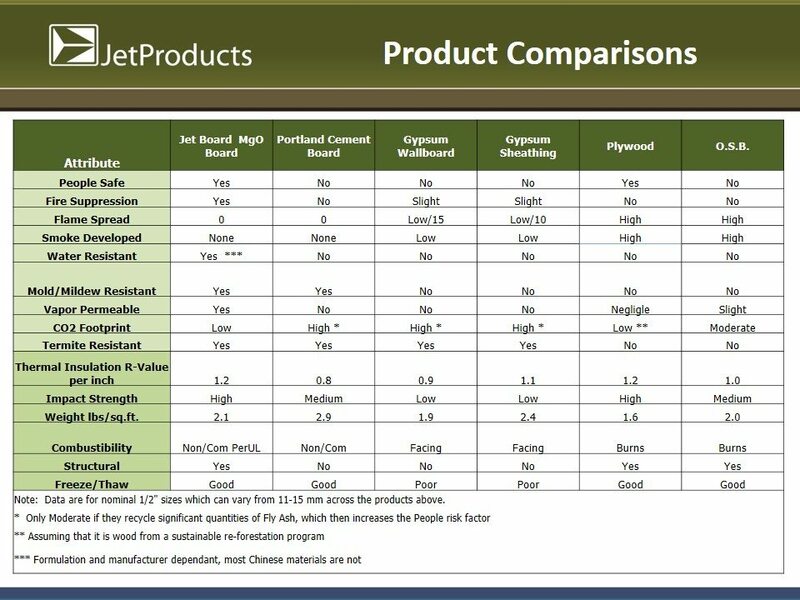 When compared to other exterior sheeting material available products Jet-Board comes out on top. 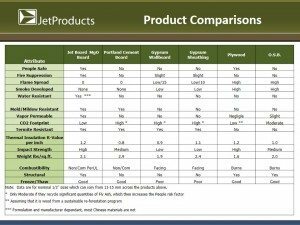 Below is a comparison chart for the most used products for paneling building on the market. Even better, MgO board is the most eco-friendly product available on today’s market. 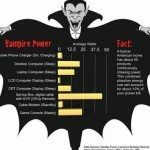 Its production has very low C02 emissions and requires absolutely no industrial processing. Because the materials needed to make this product are mixed at a very low temperature and are non-toxic, MgO poses little to no risk to the environment, and is even safe to be consumed by plants and animals alike. MgO is also recyclable because it has a neutral PH level and carbonaceous chemical structure, similar to that of a cornhusk. We are very excited to now be able to offer this cutting edge material on all our Haven models! Stay tuned for more information on our experience with MgO as we cut and assemble it in the next few weeks. We look forward to any questions or comments you may have regarding Jet-Board.